Carrick Castle is situated five miles along a minor road south of the village of Lochgoilhead. The castle was originally built in the 1200s, though the ruins visible today date back to a tower house built in the 1400s and burned down during an attack in 1685. The original construction is thought to be a viking fort which has been built on over the years. The castle was once surrounded by a moat on the landward side and protected from all other angles by Loch Goil. 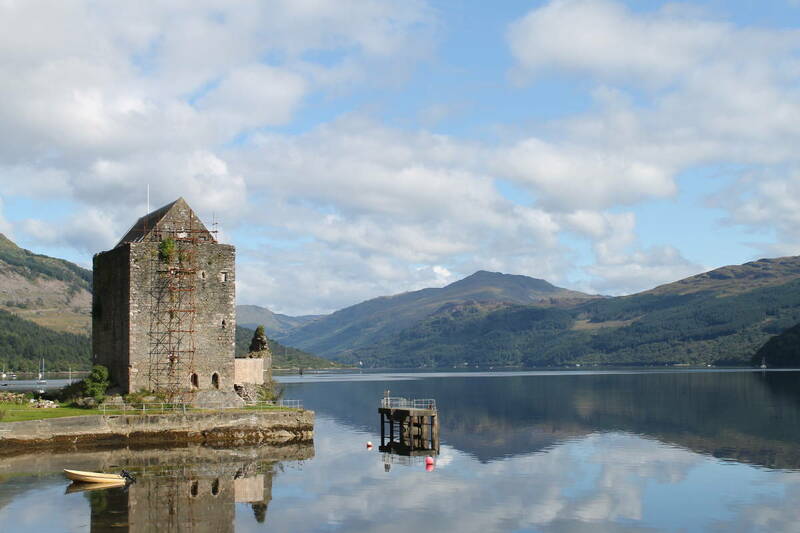 Carrick Castle is an integral part of the history and culture of Loch Lomond and The Trossachs National Park. Various famous historical characters frequented the castle including Mary Queen of Scots and Robert the Bruce who retook the castle before engaging in war with the English King of the time.